Give 3D view to certain elements of Minecraft that now have just 2D. 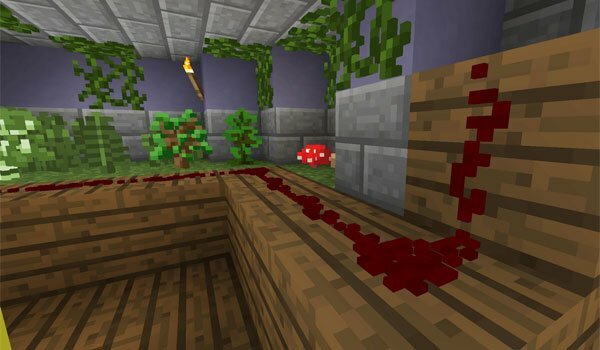 Blocks3D 1.7.2 and 1.7.10 is a mod that is responsible for granting three-dimensional elements such as Redstone, vines, shrubs, mushrooms, flowers and crops like potatoes, carrots or wheat. The 3D also can be appreciated on another kind of objects such as roads, crystals, iron fences and stairs. This does not change any mod textures design of the objects, simply adds relief to those who did not block, although not all the game objects will be seen in 3D, at least by now. How to install Blocks3D Mod for Minecraft 1.7.2 and 1.7.10? Minecraft elements now in 3D!